I followed the recipe for blueberry cobbler from How To Cook Everything. 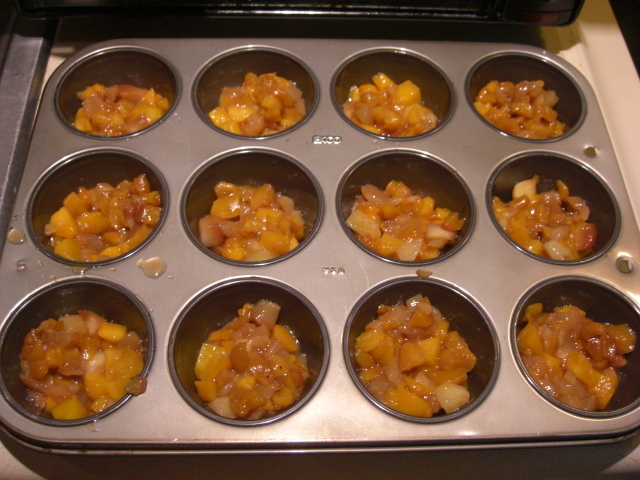 Except I used half the amount of fruit (2-3 cups), I didn’t sugar the fruit first, and I used a muffin tin instead of an 8-inch square baking pan. But the dough recipe was the same. 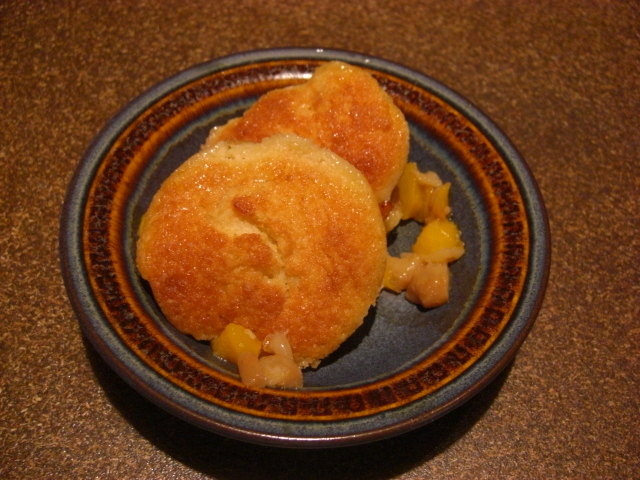 I think this recipe is pretty forgiving, and you could play around with the ratio of dough to fruit and see what’s best. 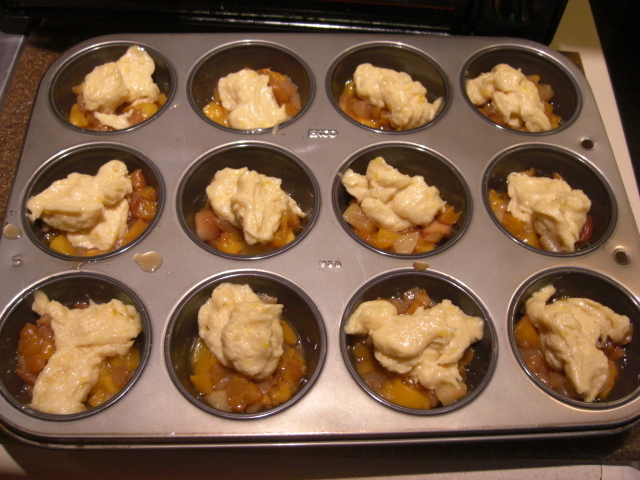 I drained the defrosted peaches/plums and put them in a muffin tin. 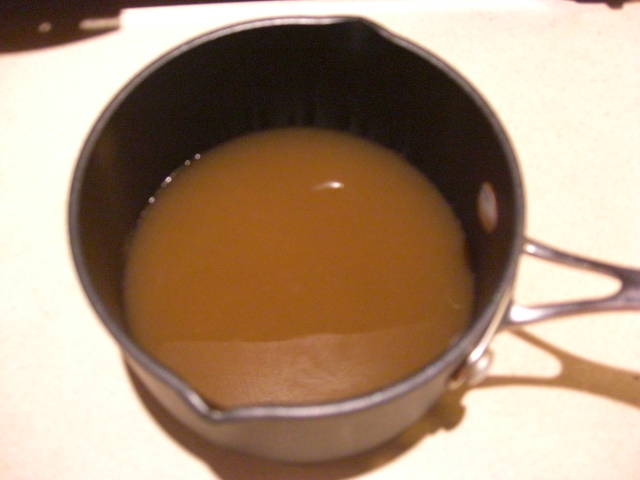 (Draining the fruit left a couple of cups of fruit juice. 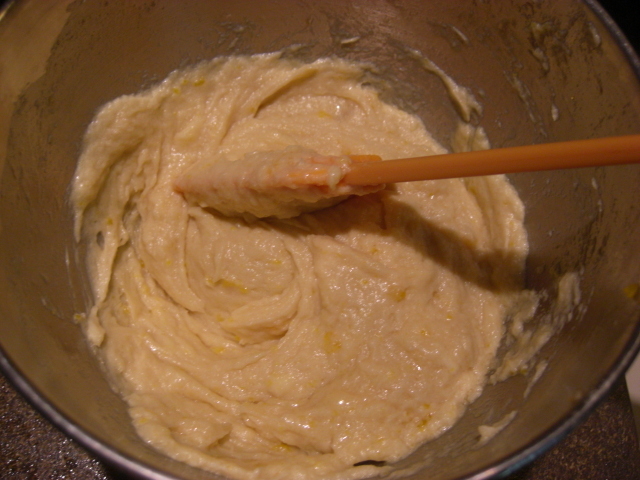 Then I made the dough in a food processor according to Bittman’s directions. by adding them to the processor and pulsing a couple of times. The yellow bits aren’t peach parts; they’re yolk bits. Defrosting the egg whites and yolk worked fine for this recipe, but the yolk never returned to a soft state. I had to chop at it to get it to blend. 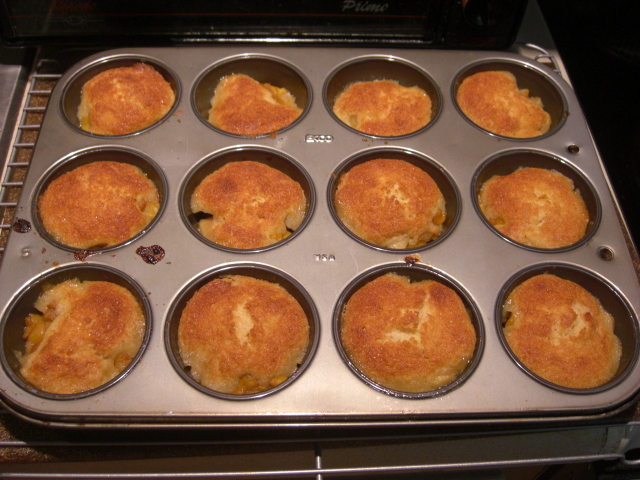 Finally, I spooned about 2 teaspoons of dough into each muffin tin. You don’t need to spread it around because the butter will melt and do it for you. 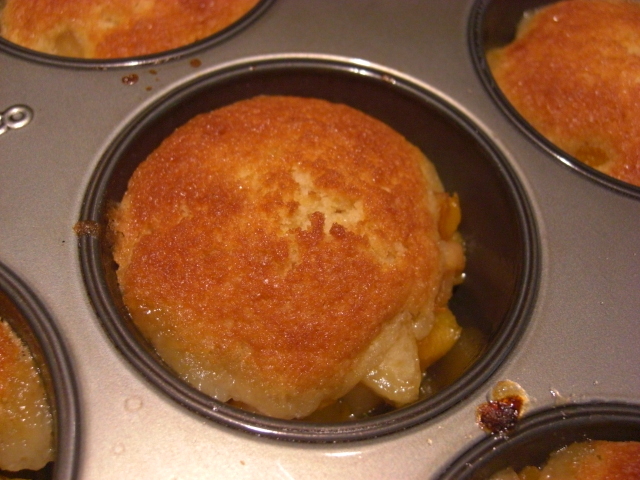 Using a muffin tin shortened the baking time. These guys only needed 20 minutes at 375 degrees. 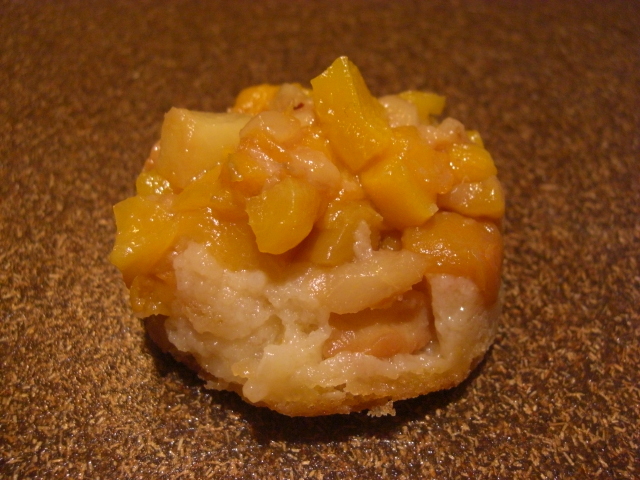 Flip it over and eat it as a sweet biscuit topped with yummy fruitness. This is especially good for quick breakfasts and afternoon snacks. 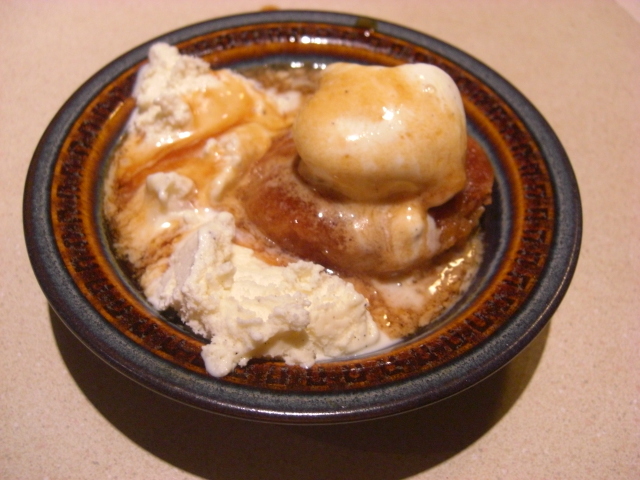 Use a spoon and a bowl. More stately, less fun. 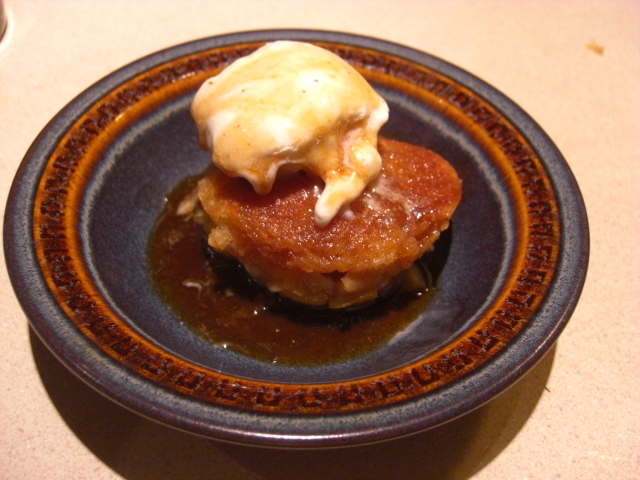 Top with vanilla ice cream and peach brandy sauce.